The new entity combines IS Prime, IS Prime Hong Kong, and IS Risk Analytics, led by Raj Sitlani. ISAM has unveiled a new structure to its global financial services business, establishing holding company ISAM Capital Markets. The newly formed entity will consist of IS Prime, IS Prime Hong Kong and IS Risk Analytics (ISRA), led by group mainstay Raj Sitlani, Finance Magnates has learned. 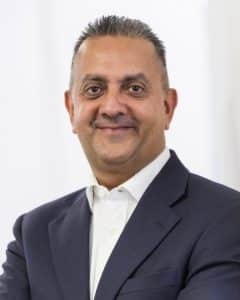 Mr. Sitlani is currently a managing partner of IS Prime – despite the new responsibilities and heading ISAM Capital Markets, he will still retain his existing role. “IS Prime has been hugely successful, outperforming all growth targets and proving the benefits of being part of a larger group, in terms of technological resources and expertise. This success has been the catalyst for establishing IS Risk Analytics and IS Prime Hong Kong,” noted Mr. Sitlani. Per the new structure, ISAM Capital Markets will constitute a holding company that combines elements of several prime brokerage and risk management units. The aggregation of IS Prime, IS Prime Hong Kong, and recently launched IS Risk Analytics (ISRA) under the new structure was done to help facilitate continued growth and added diversification under the leadership of Mr. Sitlani. “As we look to grow each business within the group and to enhance our offering with a broader range of services, ISAM Capital Markets presents a solid structure from which we can grow. This is an exciting opportunity – both for me personally and the overall organization,” he added. “We now not only have a hedge fund and asset management business but also have a capital markets business consisting of a group of market leading companies at the forefront of the industry,” he explained.